Video is one of the most effective tools for communication that businesses have at their disposal. Since the time of the nickelodeon, technology has evolved and created many more distribution channels for companies to exhibit their video content on. With the rise of social media, video content is growing in popularity. A recent study by Cisco predicts that by 2020, 82% of all consumer internet traffic will be video content. Video has steadily risen in popularity as tech advancements have made it simple for anyone to produce video content. Social media sites such as Facebook and YouTube play host for uploading and sharing videos with friends, family, and followers. More companies are launching corporate video marketing strategies and video marketing campaigns to build relationships and brand awareness with customers. Video has the ability to translate messages in a way that makes content easy to understand, and with the ease of producing video, video is well on its way to being the most popular medium to communicate content on a global scale. The origin of film dates as far back as Aristotle who in his efforts to study how vision works, created a paper tube device reminiscent of the camera. In 1878 when Eadweard Muybridge completed his work on animal locomotion marking the beginning of motion picture film technology. Utilizing multiple cameras and his own invention called a zoopraxiscope, Muybridge was able to capture numerous images in seconds, creating a phenomenon similar to present day stop motion when they were played back in a row through his zoopraxiscope. Thomas Edison perfected this technology and patented the invention we now know as the movie camera. Since the beginning of film, audiences have been fascinated by moving pictures. The film, “Workers Leaving The Lumière Factory in Lyon”, is widely considered the first movie to be screened in a cinema. Despite its mundane imagery of everyday factory workers walking out the doors of a factory, the film captivated viewers who’d never seen anything like the glowing images on the screen. As the craft of filmmaking evolved from simple reportage to complex storytelling and more, the advancing motion picture technology increasingly enchanted audiences. As soon as business owners noticed the engaging nature of movies, they began to successfully utilize the tool for marketing purposes. Showing advertisements before feature films, companies found greater responsiveness to their messaging. Film advertisements were far more mesmerizing than traditional billboard or text advertisements. Not only were they better at holding people’s attention, but gave businesses the ability to communicate increasingly complex, emotional messages. Companies are taking advantage of video content in new ways, and as a result, the internet has been seeing growth in the amount of branded video content. Just like in the time of Edison and the nickelodeon, motion pictures have been proven to be one of the most effective tools for captivating audiences. Data shared by YouTube shows that people around the world are watching over 1 billion hours of video a day—that’s almost one third of all internet users! Video provides an efficient platform for companies to tell their stories and bring their brands to life. Because video allows companies to express creativity and to be more personal and transparent with the public, emotional bonds can be formed between customers and brands. A study by Axonn Research found that after viewing compelling branded video content, seven out of every ten customers saw the business in a more positive light and felt an emotional connection to the brand. Branded video content is without a doubt the future of communications, but video content that resonates with viewers must be effective. That’s not to say you have to be Steven Spielberg, but only that your branded video content needs to create a positive brand image and form an emotional connection with customers. Engaging videos aren’t just for marketing. They can be useful tools for any communications task. Videos can send nonverbal communication cues through elements like tone and body language that will help prevent miscommunication and make the content more engaging. 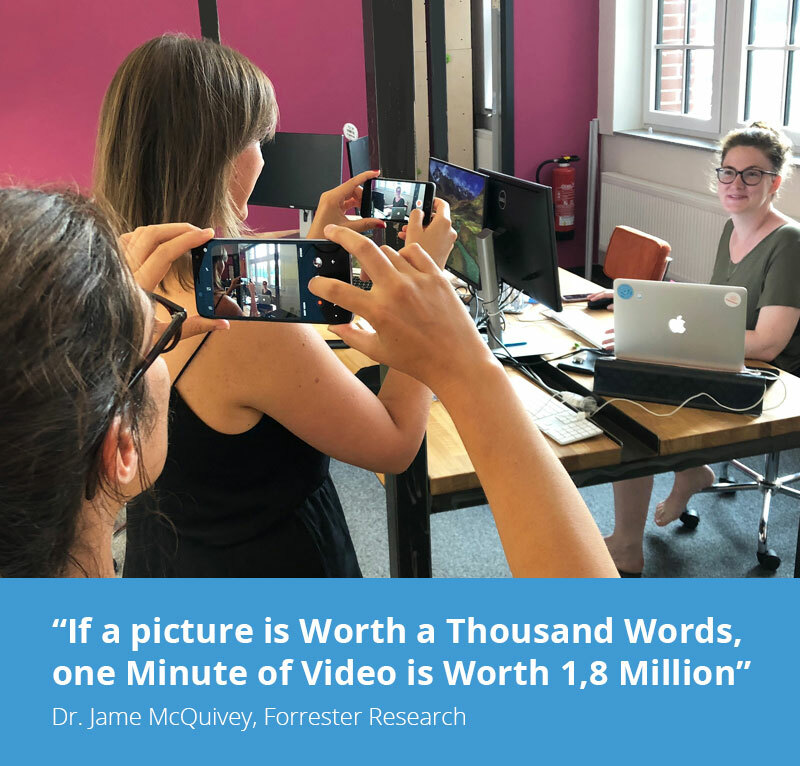 Video content has the ability to sum up messages in a fraction of the time it would take to read page after page of information, making it the ideal format for efficient communication. Visuals have higher success rates for communication: Studies by eLearning Industry show that after three days, people only retain 10% of information received audibly, whereas they remember 65% of the same information when visuals are added to the equation. 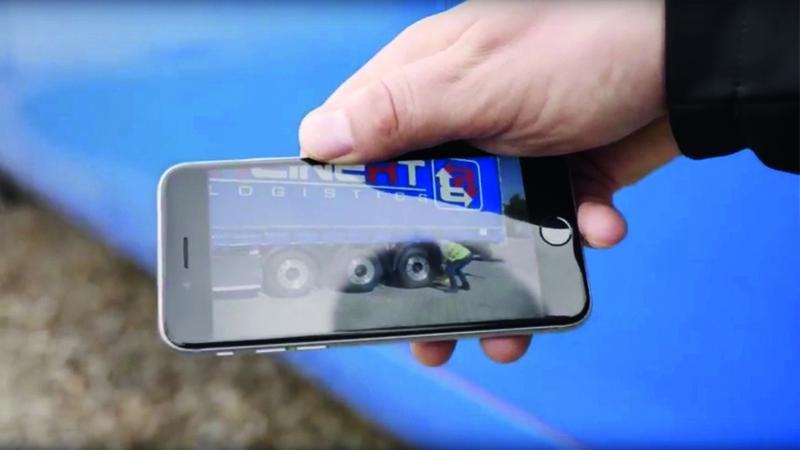 Reinert Logistics uses videos to train drivers on safety checks before every journey. Video content is also inherently more rich than traditional text-based content. It comprises elements of all other mediums, reaching viewers via audible, visual, and textural channels. This makes video superior because it can condense information and communicate much faster to viewers while fostering greater engagement. 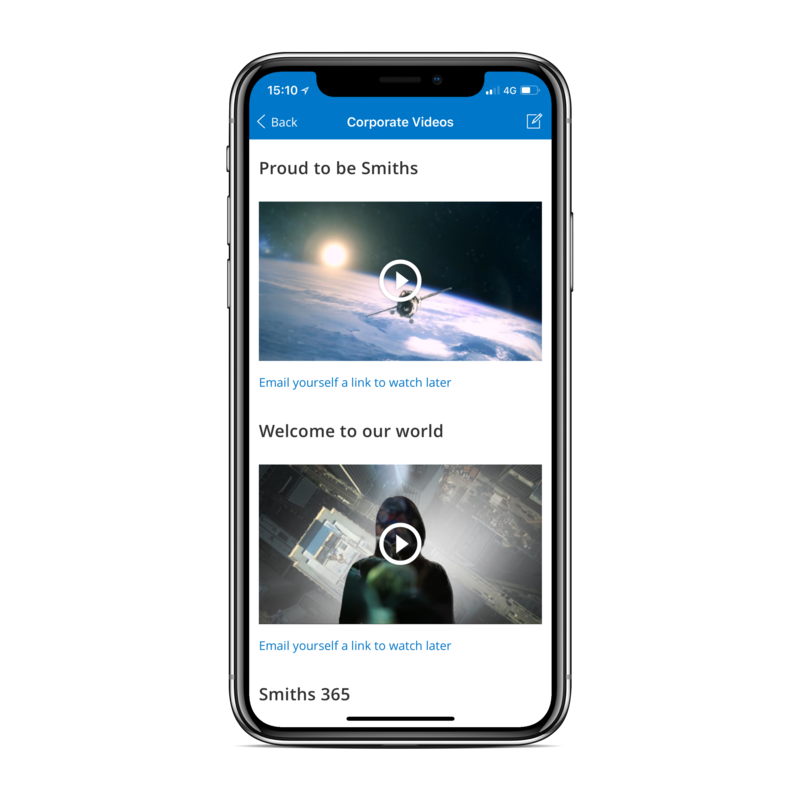 Smiths, a global leader in technology and innovation, has found great success sharing video content via their employee engagement app. They recently launched “The Video Hub” which hosts all of their video content within the platform, including videos that communicate their code of ethics, training initiatives, and brand awareness. Smiths has found internal comms videos to be especially efficient for employee onboarding to create greater employee engagement from day one. 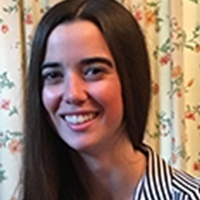 Russell Evans, Assistant Vice President of Culture and Communications at Foresters Financial, has found similar success with video in his team's award winning project. The company received recognition at the IABC World Conference for their employee video campaign project “More to our Core” in which they encouraged employees to make videos that explained the company’s story to their diverse workforce. The winning video has more than 4,000 internal views and counting. Video is undeniably the marketing and internal communication medium of the future. Google reports that videos are 45 times more likely than text to rank on the first page of search engine results because there is less competition as a result of the content density. Video accounts for over half of all mobile traffic and lets companies reach their entire market and communicate emotionally with their customers. Video is the paramount storytelling tool at the disposal of communicators. After all, storytelling is the primary job of communications professionals.